Prime Office Space in Cleveland's Eastern Suburbs - Properties Management Company. 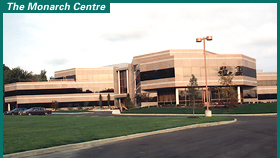 roperties Management Company owns and manages commercial office space in Beachwood and Mayfield Heights, Ohio. We take pride in maintaining high standards for our buildings--and it shows! We offer various options for all types of businesses...from a single office for an individual to a large office suite. We welcome you to review our options and contact us to arrange an appointment.